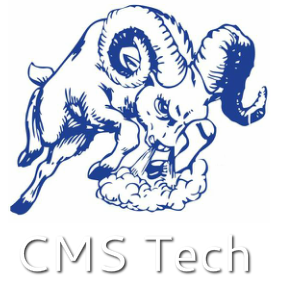 This page is dedicated to providing basic instructions on how to use the Google suite of apps everyone at Columbine MS has access to. Each Google app also has associated videos that help aid in understanding. Google Drive is online cloud storage. All students and teachers have unlimited cloud storage in their Google Drive accounts. Students usernames are their ID#@columbinerams.org and their passwords were given out by Mr. Perfors earlier in the year. Please see Mr. Perfors if you can't remember your password. Teacher usernames are firstname.lastname@columbinerams.org. The YouTube video below gives a quick tour of Drive using the computer. Google Sites allows users to create their own website. This website was created using sites. Students have access to this app as well as teachers. Sites can be used by teachers to create a class webpage, create a discussion board, load and share documents with students, and use it as a wiki for students to work collaboratively. Students can use it to create digital portfolios, present knowledge, or create to-do lists for their assignments/activities. The YouTube video below gives a brief tour of how Google Sites works. Google Sheets is Google's version of Excel or Numbers. Just like Docs and Slides, it automatically saves to Drive and can be shared for collaborative purposes. The two YouTube videos show the basics of using Sheets. Google Docs is Google's version of Word or Pages. The nice thing about Google Docs is that it automatically saves to your Google Drive and can be easily shared for collaborative purposes. The YouTube video below gives a brief introduction to creating documents using Docs. Google Classroom is an online classroom management system similar to Schoology. Teachers can manage assignments and quizzes from here. I included a video taken from YouTube that explains how to use the main features of Google Classroom. Google Slides is Google's version of PowerPoint or Keynote. Just like Docs, it automatically saves to Google Drive and can be easily shared for collaborative purposes. You can also create a slideshow and download it as a .pptx file for use in apps like Nearpod. The YouTube video below shows you the basics of using Google Slides.